Rodney Sanders arrived at the 81 Speedway on Thursday afternoon and headed down the highway several hours later with a $2,500 winner’s paycheck and his 81st career USMTS victory. Sanders—the 2013 and 2014 USMTS national champion—started deep in field from the outside of the fifth row, and used the high side of C. Ray Hall’s 3/8-mile clay oval to track down early leader Johnny Scott and take the lead with a dozen laps remaining in the 40-lapper. Scott stole the lead from polesitter Austin Siebert after one lap around the Park City, Kan., speedplant, and set the pace for the next 27 laps before giving way to Sanders in the late stages of the exciting contest. The win was the second of the season for Sanders, and his series-best fourth at the 81 Speedway. During last November’s Park City Chisholm Trail Showdown here, Sanders grabbed his third win on opening night while Johnny Scott, who finished second on Thursday, won the finale the following night. VanderBeek and Stormy Scott held down the third and fourth finishing positions, R.C. Whitwell took fifth and the rest of the top ten at the checkered flag were 14th-starting Lucas Schott, Ryan Gustin, 16th-starting Cade Dillard, 23rd-starting Jake O'Neil and Dereck Ramirez. With his runner-up effort, Johnny Scott leap-frogged O’Neil in the USMTS Hunt for the Casey’s Cup points battle by three points (1363 to 1360), Sanders surpassed Schott to claim the third position with 1299 points while Schott is just another eight markers behind with 1291 markers. Stormy Scott sits fifth with 1286, followed by VanderBeek (1276), Ramirez (1250), Terry Phillips (1204), Joe Duvall (978) and Jake Timm (952). Friday will find the sultans of speed at the Dodge City Raceway Park in the Southwest Kansas town of Dodge City for the first time since 2004 as they take to the 3/8-mile dirt oval for a $3,000-to-win, $300-to-start tilt that is a must-see for fans throughout the region. The series first visited the Dodge City Raceway Park on Aug. 13-14, 2004, for two complete shows each paying $2,000 to win. Kelly Shryock was the Friday night winner and Tommy Myer topped Saturday’s contest. The track was covered by asphalt the previous year. Along with the USMTS Modifieds, the event will feature Sport Modifieds, Stock Cars and Hobby Stocks. A bonus will be for grabs for IMCA-legal Modifieds taking part in the USMTS events. The top finishing IMCA-legal Modified will earn an extra $300, with another $200 for the second highest finisher and $100 for the third. Tickets are $25 for adults while children ages 11 and under are admitted free when accompanied by an adult. Pit passes are $30. Racing starts at 7:30 p.m. The dirt track is 60 feet wide with 8 degrees banking on the straight-aways and parabolic 10-, 12- and 14-degree banked turns. The race track facility is owned by the city and was built with "Y" sales tax. The Dodge City Raceway Park is a 3/8-mile semi-banked dirt oval located on the south edge of Dodge City, Kan., on US 283, then 0.9 miles west on US 56, then 0.1 miles south (11322 110 Rd, Dodge City, KS 67801). For more information, contact the track at (620) 225-3277 or check www.dodgecityraceway.com. The tripleheader wraps up on Saturday, June 9, with the legion of zoom strafing the Salina Speedway in Salina, Kan. Cade Dillard captured last year’s checkered flag in the inaugural event that took place less than three weeks after the track took a direct hit from a tornado. Track crews and volunteers worked tirelessly to fix buildings and lights, and repair fences that were destroyed by the high winds. The USMTS Modifieds will be joined by the BSB Manufacturing NeSmith Late Models and Auto House Towing & Recovery Mod Lites. Pits gates open at 4 p.m., grandstands open at 5, hot laps begin at 6:15 and racing gets underway at 7 p.m. Adult tickets are $20 with free admission for kids under 16 years old. Race fans can get $2-off discount coupons on race day at Casey’s General Stores locations in Abilene, Lindsborg, Minneapolis and Salina. Pit passes are $35. Anybody attending Thursday's race at the 81 Speedway or Friday's USMTS show at the Dodge City Raceway Park can bring their ticket stub from one of those two events receive $5 off your admission to Saturday’s blockbuster at America's Fast Track to Fun. Also, due to forecasted high temperatures, officials have declared that all bottles of water will only be $1. 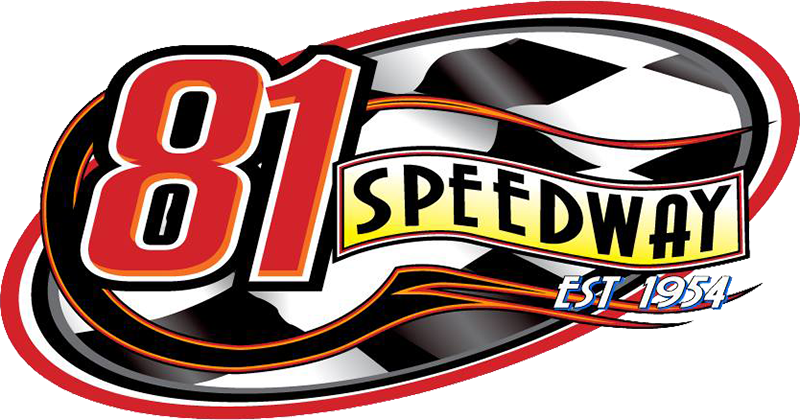 The Salina Speedway is a 3/8-mile semi-banked clay oval located off of I-135 at exit 92, then 2.5 miles west on Crawford St., then 2.7 miles south on Burma Rd. in Salina, Kan. For more information, call (785) 292-9220 or visit www.racesalinaspeedway.com online. 81 Speedway, Park City, Kan.
2. (1) 2s Stormy Scott, Las Cruces, N.M.
3. (3) 97 Cade Dillard, Robeline, La. 4. (7) 4r Dereck Ramirez, Woodward, Okla.
5. (5) 3j Jake Nightingale, Hutchinson, Kan.
6. (6) 747 Colton Eck, Goddard, Kan.
8. (8) 1m Cody Gearhart (R), Turpin, Okla.
9. (9) 59 Bob Sammann, Winona, Minn.
1. (4) 33z Zack VanderBeek, New Sharon, Iowa. 2. (3) 71t R.C. Whitwell, Tucson, Ariz.
4. (2) 87 Darron Fuqua, Mayetta, Kan.
5. (1) 0 Jake O'Neil (R), Tucson, Ariz.
6. (9) 23 Logan Robertson, Shamrock, Texas. 9. (6) 171 Edward Leecy, Derby, Kan.
1. (2) 5k Kyle Prauner (R), Norfolk, Neb. 2. (4) 23 Adam Kates, Tonganoxie, Kan.
4. (9) 25 Scott Green, Derby, Kan.
5. (7) 2g Brandon Givens, Cheney, Kan.
7. (6) 52c Alex Cammon, Wichita, Kan.
8. (8) 32b Bobby Bills, Wichita, Kan.
9. (3) 8c Chris Clark, Jackson, Wyo. 2. (4) 21t Lance Town, Wellsville, Kan.
3. (2) 65 Tyler Davis, Haysville, Kan.
4. (7) 4 Dan Powers, Wichita, Kan.
7. (5) 87 Kenny Sweet, Wichita, Kan.
8. (3) 25c Johnny Cammon, Wichita, Kan.
1. (1) 4 Dan Powers, Wichita, Kan.
2. (2) 65 Tyler Davis, Haysville, Kan.
4. (3) 2g Brandon Givens, Cheney, Kan.
7. (9) 1m Cody Gearhart (R), Turpin, Okla., LG2/ChevPerf, $90. 8. (8) 52c Alex Cammon, Wichita, Kan., Custom/Cammon, $75. 9. (12) 8c Chris Clark, Jackson, Wyo., GRT/Cornett, $90. 10. (5) 0 Jake O'Neil (R), Tucson, Ariz.
11. (11) 59 Bob Sammann, Winona, Minn., GRT/Allard, $75. 12. (10) 32b Bobby Bills, Wichita, Kan., BillsBuilt/Yancy’s, $75. 3. (2) 87 Darron Fuqua, Mayetta, Kan.
4. (5) 75 Terry Phillips, Springfield, Mo. 5. (9) 20rt Ricky Thornton Jr., Chandler, Ariz.
6. (11) 171 Edward Leecy, Derby, Kan., TwoM/TwoM, $75. 7. (4) 3j Jake Nightingale, Hutchinson, Kan.
8. (6) 71 Jessie Hoskins (R), Longdale, Okla.
9. (8) 87 Kenny Sweet, Wichita, Kan., BillsBuilt/KBS, $75. 10. (7) 25p Mike Petersilie, Hoisington, Kan., 1stClass/AEM, $90. 11. (10) 25c Johnny Cammon, Wichita, Kan., GRT/Mullins, $75. 1. (10) 20 Rodney Sanders, Worthington, Minn., MBCustoms/Hatfield, 40, $2850. 2. (3) 1st Johnny Scott, Cameron, Mo., VanderBuilt/Durham, 40, $1825. 3. (5) 33z Zack VanderBeek, New Sharon, Iowa, VanderBuilt/Sput’s, 40, $1300. 5. (8) 71t R.C. Whitwell, Tucson, Ariz., Victory/Tahtinen, 40, $600. 6. (14) 69 Lucas Schott, Chatfield, Minn., MBCustoms/Hill, 40, $790. 7. (11) 19r Ryan Gustin, Marshalltown, Iowa, Hughes/TriStar, 40, $450. 8. (16) 97 Cade Dillard, Robeline, La., MBCustoms/Knowles, 40, $400. 9. (23) 0 Jake O'Neil (R), Tucson, Ariz., LG2/Cornett, 40, $660. 10. (12) 4r Dereck Ramirez, Woodward, Okla., Hughes/Cornett, 40, $630. 11. (1) 16 Austin Siebert, Grandview, Mo., MBCustoms/Durham, 40, $325. 12. (22) 20rt Ricky Thornton Jr., Chandler, Ariz., Jet/Mullins, 40, $300. 13. (20) 75 Terry Phillips, Springfield, Mo., GRT/Durham, 40, $550. 14. (13) 4 Dan Powers, Wichita, Kan., GRT/KBS, 40, $250. 15. (18) 87 Darron Fuqua, Mayetta, Kan., MBCustoms/Driskell, 39, $250. 16. (17) 23 Logan Robertson, Shamrock, Texas, MBCustoms/Knowles, 39, $325. 17. (9) 25 Scott Green, Derby, Kan., Hughes/Mullins, 39, $200. 18. (25) 3j Jake Nightingale, Hutchinson, Kan., Mullens/Mullins, 38, $200. 19. (24) 71 Jessie Hoskins (R), Longdale, Okla., Longhorn/Mullins, 39, $250. 20. (21) 91 Joe Duvall, Claremore, Okla., MBCustoms/ChevPerf, 31, $525. 21. (26) 747 Colton Eck, Goddard, Kan., GRT/Hillsboro, 27, $200. 22. (4) 23 Adam Kates, Tonganoxie, Kan., VanderBuilt/Speedway, 25, $250. 23. (7) 5k Kyle Prauner (R), Norfolk, Neb., Razor/ChevPerf, 24, $250. 24. (19) 2g Brandon Givens, Cheney, Kan., Hughes/Mullins, 10, $200. 25. (15) 65 Tyler Davis, Haysville, Kan., Hughes/Hatfield, 2, $250. 26. (6) 21t Lance Town, Wellsville, Kan., MBCustoms/Driskell, 1, $250. Lap Leaders: Siebert 1, J. Scott 2-28, Sanders 29-40. Total Laps Led: J. Scott 27, Sanders 12, Siebert 1. Margin of Victory: 2.830 seconds. Time of Race: 18 minutes, 50.296 seconds (3 cautions). Provisional Starters: O’Neil, Hoskins, Nightingale (track), Eck (track). Eibach Spring Forward Award: Thornton (advanced 13 positions). FK Rod Ends Hard Charger: Thornton (started 22nd, finished 12th). Next Race: Friday, June 8, Dodge City Raceway Park, Dodge City, Kan.
USMTS Hunt for the Casey’s Cup Points: J. Scott 1363, O'Neil 1360, Sanders 1299, Schott 1291, S. Scott 1286, VanderBeek 1276, Ramirez 1250, Phillips 1204, Duvall 978, Jake Timm 952. Grant Junghans USMTS Rookie of the Year Points: O'Neil 1360, Carlos Ahumada Jr. 760, Zane Ferrell 692, Billy Vogel 610, Lance Mari 529. USMTS Engine Builder of the Year Points: Durham 149, Sput’s 127, Cornett 122, Hatfield 109, Mullins 107. USMTS Manufacturers Championship Points: VanderBuilt 169, MBCustoms 167, GRT 122, Hughes 122, LG2 119. American Racer – A. Cammon. Beyea Custom Headers – Powers. Casey’s General Stores – Givens, Leecy. FK Rod Ends – Thornton. Forty9 Designs – Fuqua, Hoskins. GRT Race Cars – Eck. Integra Shocks & Springs – Nightingale. KSE Racing Products – O’Neil. Out-Pace Racing Products – Green. Simpson Performance Products – Siebert. Swift Springs – Sanders, Green. Wilwood Disc Brakes – Gustin.